Sadly the news coming out of the Loire continues to be largely grim. 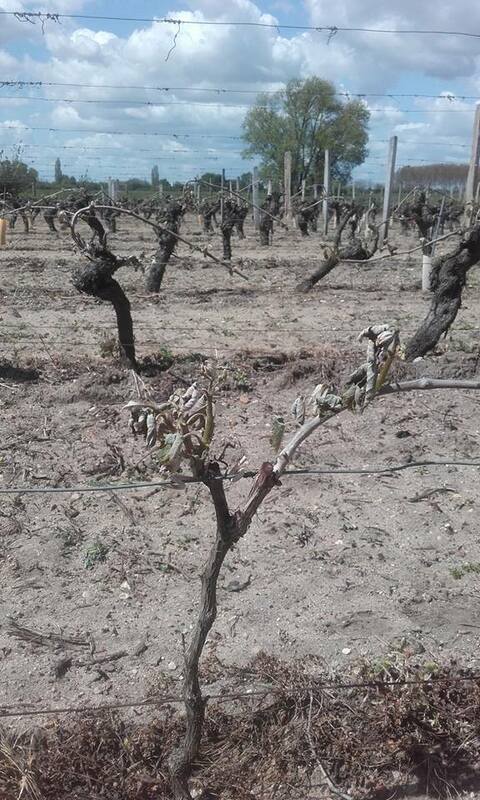 Unfortunately due to my commitments as the Regional Chair for the Loire at the Decanter World Wine Awards this week at Tobacco Dock, it has been difficult to spend much time checking on the damage caused by the frost early in the morning of Wednesday 27th April. Pouilly-Fumé, Menetou-Salon, Quincy and Reuilly have been hit to varying degrees in places very severely. He will have a better idea of the damage next week. However, once again Sancerre appears to have been lucky with apparently little damage. 'Sur St Georges tous les bas de coteaux sont gelés et même certains endroits sur les hauts des coteaux. Aucune exploitation n'est épargné avec des situations différentes allant de 10 a 80 % de perte selon les exploitations. La situation va etre tres compliqué car les stocks sont bas et les récoltes faibles des années précédentes ont fragilisés les trésoreries. Beaucoup d'exploitation vont se retrouver dans des situations critiques et on se demande comment les marchés vont réagir. Bléré est tres touchés egalement et sur Civray c'est proche des 90% de degats. Voila ce que je peux dire pour l'instant j'en saurais plus cette apres-midi, mais on connaitra le bilan veritable la semaine prochaine. (Vincent reports that many parts of Saint Georges-sur-Cher, which is the commune in the Cher Valley with the most significant area under vine, has been hit especially the lower parts of the coteaux but even some parcels of vines high up have suffered damage. No-one has escaped with losses ranging from 10%-80%. As you move further east up the Cher Valley towards Saint-Aignan the damage appears to be less but the communes of Couffy and Lye to the east of Saint-Aignan have been hit as has Saint-Romain to the north of Saint-Aignan. West of Saint-Georges-sur-Cher – Civray has been very badly hit as has Bléré. Damage reported here and in the Fiefs Vendéens. Benoît Gautier, Domaine de la Châtaigneraie, Vouvray is reporting considerable damage to some of his parcels of vines. Better news: Jérôme Billard, Domaine de la Noblaie, Ligré, AOP Chinon repoprts that only 20% of his vines have been affected and I believe these are mainly the Cabernet Franc vines that Jérôme uses to make his rosé which are not the best parcels and on the lower part of a slope that would be frost prone. Now that the Loire DWWA judging is now over, I will have time to get fuller information, so I expect to post further updates in the days to come. My table grapes have been frosted, but they were not yet in leaf. I assume they will more or less recover and give me something in the autumn. Curiously my fruit trees don't seem to be affected, but many of the wild orchids in the orchid were hit. The two species which were in flower have largely gone brown and limp. I've never known that to happen before (most native orchids are not frost tender, including these two species). Happily I have several other species yet to flower in the orchard and they will be unaffected by this event. 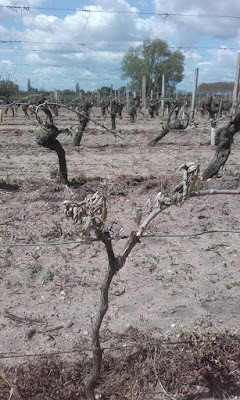 I know from speaking to Véronique Davault (Domaine de la Chaise, St Georges sur Cher) that they were somewhat affected by the frost on 18 April. My guess is that this latest one has devasted them, but I have yet to speak to her. Susan I think you tried to leave a comment but it went into my spam folder and I saw it too late as I was deleting the contents. The frost was clearly something out of the ordinary. Many of the wild orchids in my orchid got blatted and I've never seen that before. The two species flowering at the moment there are generally not frost tender. Curiously our fruit trees don't seem to have been affected. The table grapes weren't at leaf burst yet so I think they will more or less recover from having their leaf buds frizzled. I've emailed a friend in St Georges to find out how they fared. They were affected by the frost of 18 April, and I suspect this latest one may have really devastated them. Thanks Susan. Yes I heard about the earlier frost and it does appear that there is severe damage in parts of Saint Georges. Overall it doesn't seem to be quite as extensive as the 1991 frost.